Hi there! You. Yes, you in the cute shoes. Are you a Creative Director? You have the artsy sensibility of one, and so we want to ask: are you in search of beautiful patterns, original hand-painted illustrations, and playful commentary for your product lines? If so, give us a holler! We are always looking for new ways to expand and share Ana's artistic vision in branded product lines. A licensing deal with you may be the perfect way to do it. Contact: Melissa@brandedlicensing.com for a chance to get in on the fun! BLEND FABRICS - Cotton quilt & crafts fabrics. On-trend patterns for home decor, children's apparel, cute aprons, decorative pillows, patterned curtains and more. PRIMITIVES BY KATHY - Gifts, wall art, throw pillows, ceramic dishware, tea towels, ornaments, bins, garden decor, cosmetic bags, trinket boxes, vases, clocks, Stone coasters and magnets. VANDOR - stemless wine glasses, tumblers, aluminum cups, ceramic mugs, kitchen canisters, trinket trays, bento boxes, finger bowls and serving dishes. PUBLICATIONS INTERNATIONAL - adult coloring books and guided journals. COTTAGE DOOR PRESS - Illustrated children's books. COYNE'S COMPANY - Women's accessories including scarves, umbrellas, coin purses, cosmetic bags, cross body bags and tote bags. CROWN JEWLZ - Spiral notebooks, list pads, shaped notepads, pocket notepads, magnetic kitchen pads, chunky notepads and three pack journal sets. 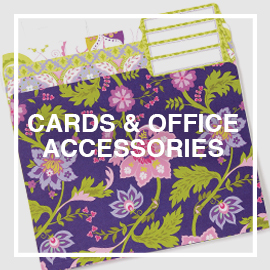 THE GIFT WRAP COMPANY – Gift bags, roll wraps, decorative tissue, gift enclosure cards, blank note cards, bound journals, flexi cover notebooks, pencils and pencil cases. 3M POST-IT - Sticky note pads, sticky note blocks and page markers. PRIMITIVES BY KATHY - Christmas themed list pads, ornaments, stocking stuffers, tea towels, holiday decor, gift and tote bags, boxes, decorative metal bins and wall art. ANDREWS MCMEEL - Posh game books and weekly calendars. 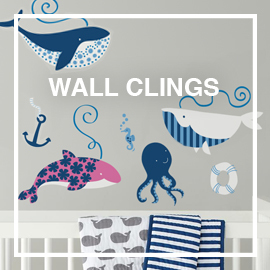 ROOMMATES - peel and stick wall decor for children's rooms and nurseries. HDS TRADING - Home storage including, shoes caddies, laundry bins, storage boxes and cosmetic travel bags. Kitchen accents including step stools, garbage pails, cutting boards and serving trays. OOPSY DAISY - Canvas wall art and nightlights. GINA B - Greeting cards including sympathy cards, friendship cards, baby shower cards, gift enclosures and more. 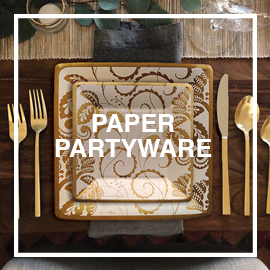 DESIGN DESIGN - Paper plates and partyware. 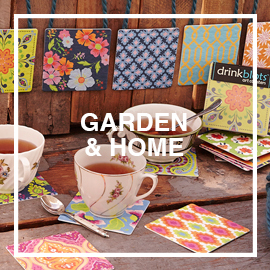 STUDIO M - Garden accents, garden flags, mailbox wraps, welcome mats, paper coasters and decorative planters. HABIT GOODS - High quality screen printed canvas bags and totes.